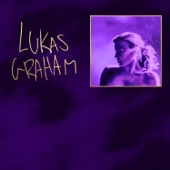 Lukas Graham is a Danish pop band consisting of vocalist Lukas Graham Forchhammer (born September 18, 1988), drummer Mark "Lovestick" Falgren (born November 28, 1988), bassist Magnus Larsson (born September 9, 1990) and keyboardist Kasper Daugaard (born June 14, 1989). Launching their debut album in 2012 on Copenhagen Records, Lukas Graham quickly became a popular live act in Denmark. That success translated to the rest of Europe and caught the attention of Warner Bros.